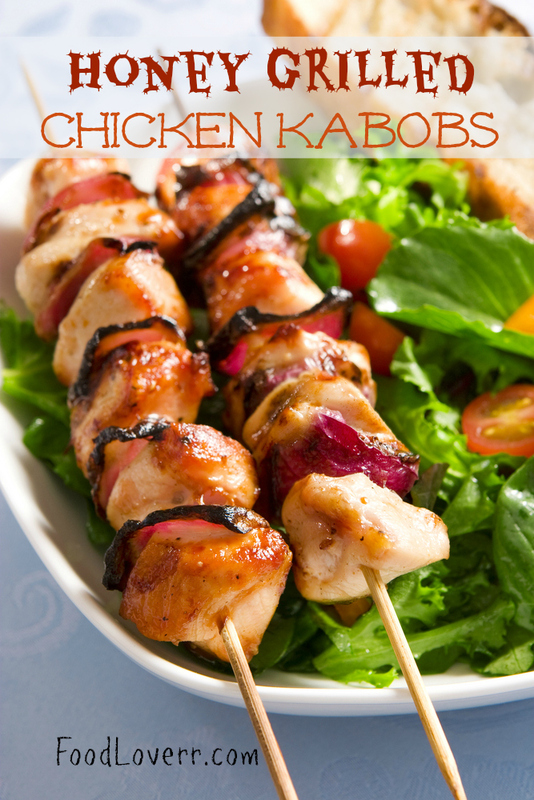 These yummy honey chicken kabobs really live up to the hype And are even better if you marinate them overnite but you don’t have to. As someone who believes you can never have enough sauce you should consider doubling the sauce ingredients so you don’t run out. For extra zing in your marinade try adding some extra garlic and a tsp of ginger. In addition to bell peppers you can use any vegetables you like such as cherry tomatoes, mushrooms and of course onions. Lightly oil the grill grate. Place the skewers on the grill. Cook for 12 to 15 minutes, until chicken juices run clear. Turn and brush with reserved marinade frequently.